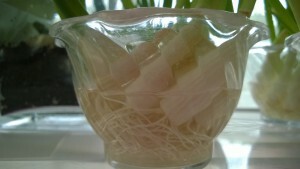 I always was looking for a way to grow some of my own foods in our condo. We do not have a garden, but I have a shelf – which belongs to our cat 🙂 – that is West facing. So we get sun all afternoon. 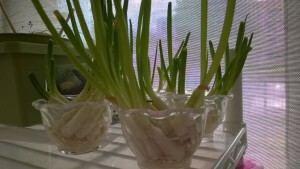 Then I saw people growing green onions on their window sill in water. 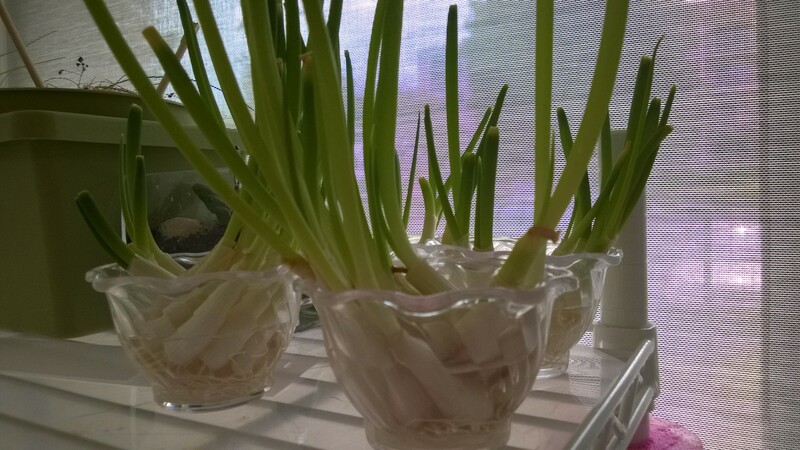 I LOVE green onions and we buy tons of them every week. Instead of throwing the roots away I started putting them in water. And they are growing! But I also read that if you just keep them in water, after about 3 cuts, they lose their flavor. 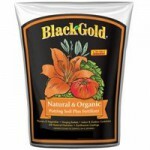 So I ordered some organic potting soil from Amazon: Black Gold 1302040 8-Quart All Organic Potting Soil . I bought it before for my herbs and it works great. 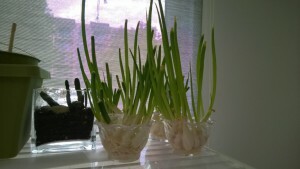 I am going to cut the onions this weekend and then plant them in pots, so they get their nutrients. As you can see in this picture on the left, they create lots of very long roots when you put them in water. So they are perfect for planting them in soil. There they have a whole list of foods you can grow from just scraps. It is amazing. All the ends of lettuces, tomatoes, or potatoes that started to sprout I tossed out – and I could have grown my own food from it. I will certainly start growing more of my own food from now on. It does not hurt to try, and if it does not work, oh well, I gave it my best shot. 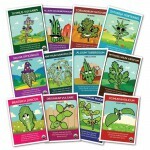 These seeds grow very well and you will get a lot of herbs from them. 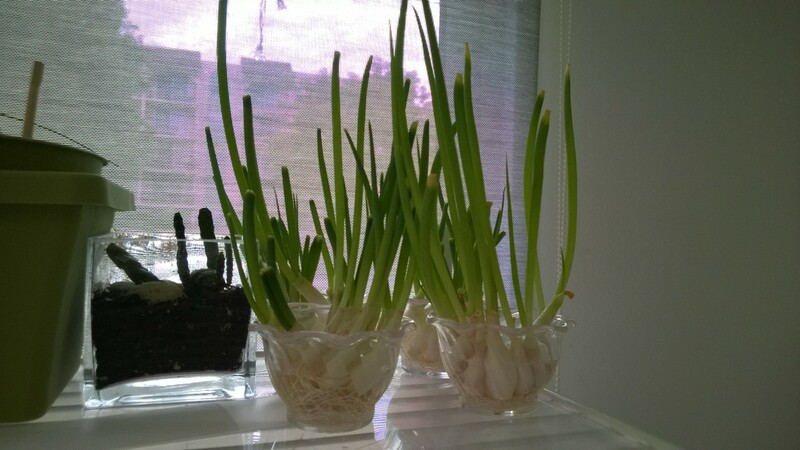 It will hopefully be more than just my beloved green onions.